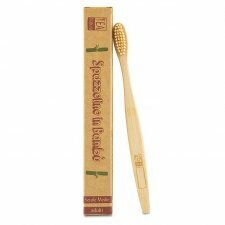 Toothbrush for adult with medium nylon bristles (rounded tip), suitable for those with sensitive teeth and gums. 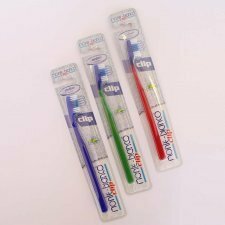 Ecological toothbrush designed to minimize plastic waste because only the head is replaceable. Available colors: red, blue or green. The head is always blue. 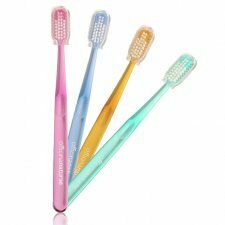 The toothbrush has a head 1, the replacement heads are sold separately. Made in Germany by Ranir. 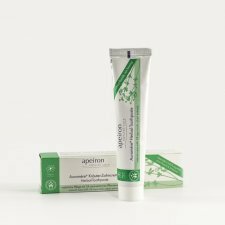 Created according to the principles of Ayurvedic medicine, toothpaste Herbal Dental Gel Extract Neem and built with the same herbs mentioned in ancient Indian texts. 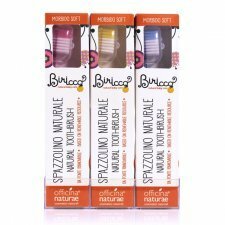 The science of the past, therefore, meets that of the present, for an original and effective product that can help the health of your teeth and gums, giving a fresh and fragrant breath. 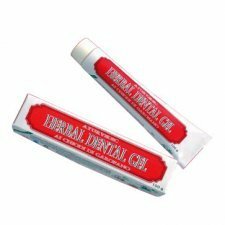 Toothpaste Herbal Dental Gel Extract Neem will donate a brilliant smile with perfectly clean teeth. 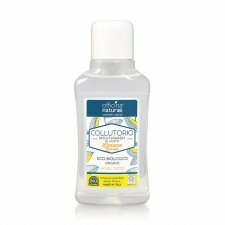 Its high content of natural eugenol extracted from the oil of cloves from Zanzibar provenienete remove tobacco stains, gives long upon a feeling of freshness, it prevents redness of the gums. 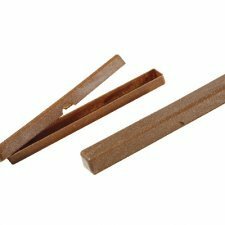 Manufactured by KHOJATI Herbal India. 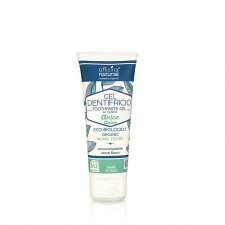 Toothpaste Herbal Dental Gel Extract Neem will donate a brilliant smile with perfectly clean teeth, the extract rich Neem Limonoids has a natural antiseptic, it prevents redness of the gums and gives freshness to the mouth. 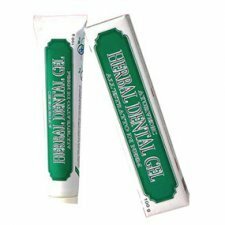 Created according to the principles of Ayurvedic medicine, toothpaste Herbal Dental Gel to Meswak Root and built with the same herbs mentioned in ancient Indian texts. 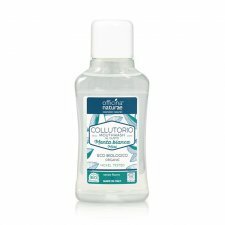 The science of the past, therefore, meets that of the present, for an original and effective product that can help the health of your teeth and gums, giving a fresh and fragrant breath. 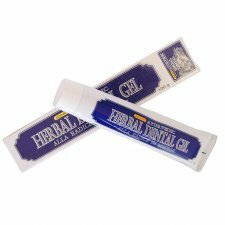 Toothpaste Herbal Dental Gel to Meswak Root (with Black Cumin) will donate a brilliant smile with perfectly clean teeth. The Black Cumin (Nigelia Sativa) is an excellent antiseptic and the Meswak Root (Salvadora Persica) has always been famous for being a "natural dentist." 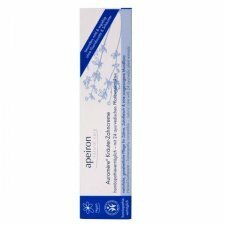 It fights plaque, is gentle on the gums and prevents redness. 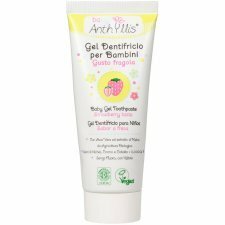 A fresh organic toothpaste with extracts of Aloe Vera and Iceland Moss. 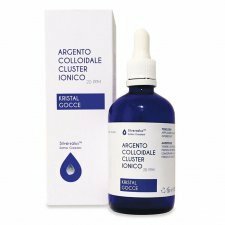 It also contains Sage extract which helps restore the natural whiteness of teeth. Ideal for all family members. 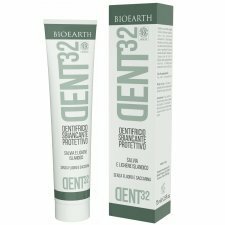 When used regularly it helps protect against cavity and plaque. 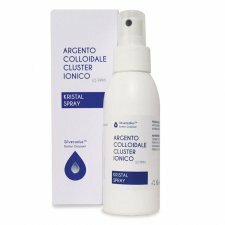 With tea tree oil. 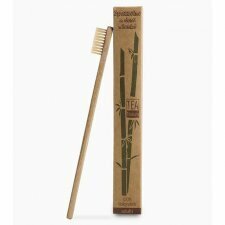 ToothBrush box made entirely from renewable sources: in Arboform (liquid wood) and natural waxes. 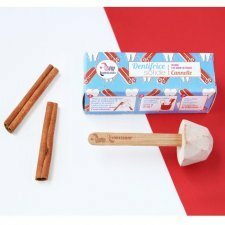 100% biodegradable.